I am a big fan of the 5217 work methodology. Basically, work for 52 minutes then break for 17 minutes coined here. I used to use an app on my smartphone to time the cycles, however I wanted a solution that allowed me to not be distracted by my phone and instead view it straight from my browser. I created a very simple web app to do this using the small project as a good opportunity to try some new design principles, web notifications and social media sharing api’s whilst creating a simple and robust web application. 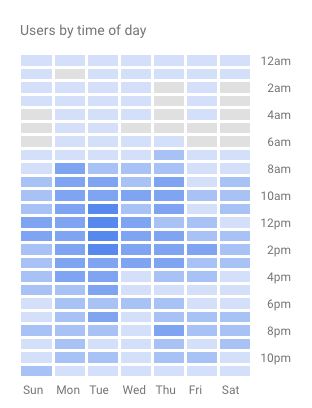 Heat-map of users by time of day during peak revision season. One of the most interesting things that came from the project, is seeing other people from around my College use the app, simply by word of mouth. By having a nicely designed, easy to share web app, it followed that people enjoyed using it. Another great discovery was analysing the use of the data, understanding more about the way users revise. 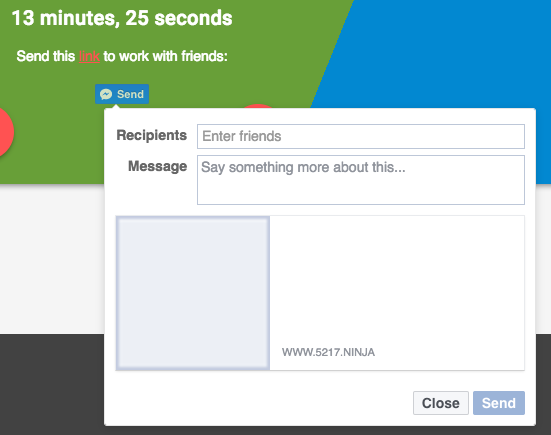 The web app is still freely available to use at 5217.ninja, give it a try!